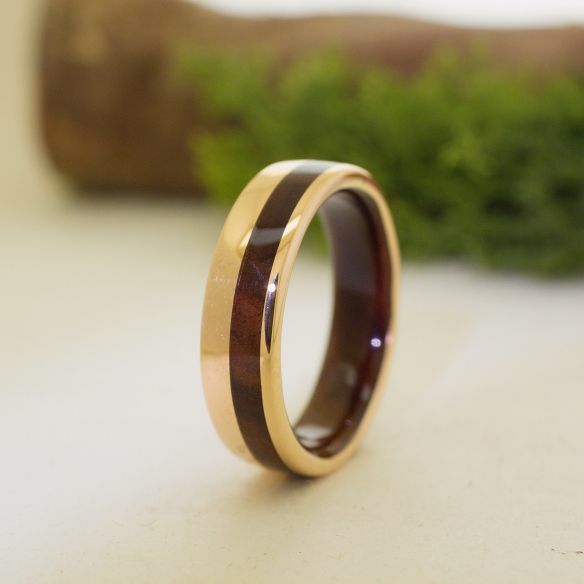 This ring is made with rose gold 18k. Embedded in the outside and inside has two bands of walnut wood. 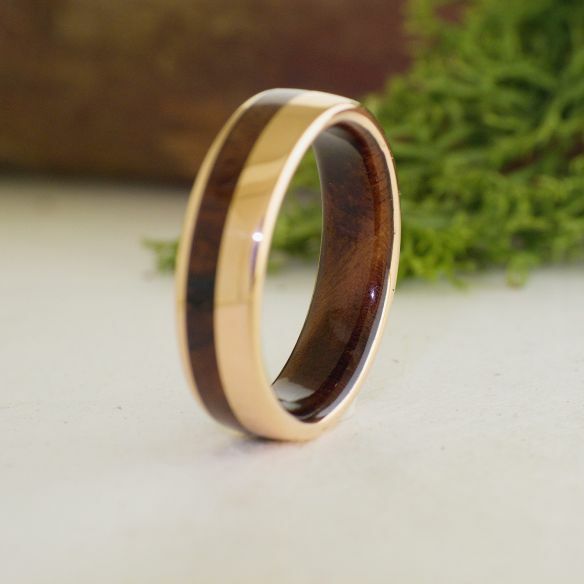 This wood has a treatment that makes it water resistant so you can use the ring in your daily activities. 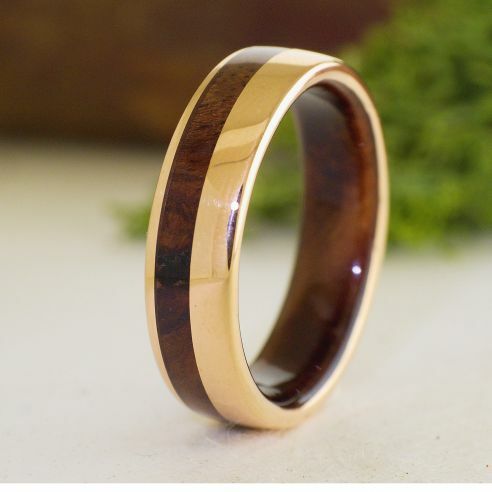 Also, it is covered with ecological resin to prevent dirt from penetrating and maintain the natural beauty of the wood. Our rings are handmade, therefore each ring is unique. 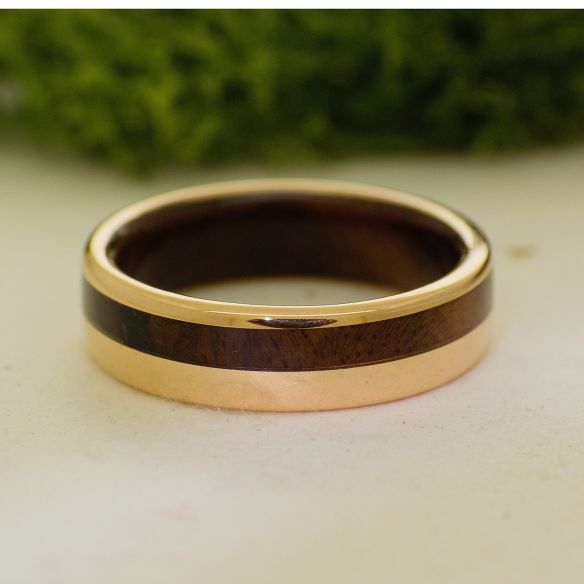 925 sterling silver, yellow gold 18k, rose gold, white gold. If you want this model in gold, ask for a budget for your size.